Peony is a perennial plant native to Asia, southern Europe and western North America. 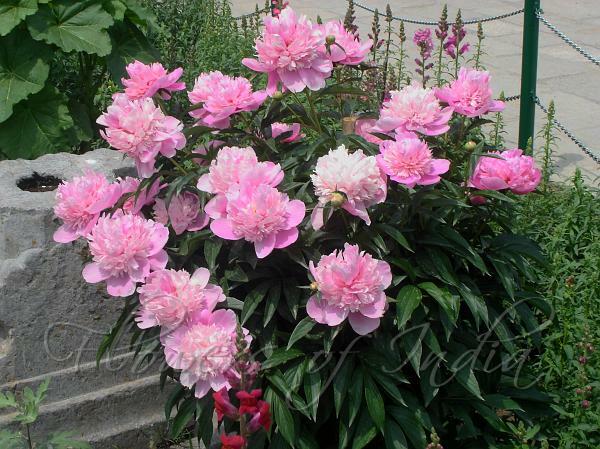 Most Peonies are herbaceous plants 0.5–1.5 m tall, but some are woody shrubs up to 1.5–3 metres tall. Leaves are dark green, deeply cut into lobes which looks like leaflets. Flowers are large, double, pink in color, in late spring and early summer. This double pink flower is an ancient variety, supposedly dating back as far as the 17th century. In the past, the peonies were often classified in the family Ranunculaceae, alongside Anemones. 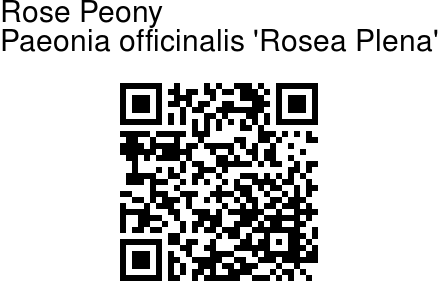 The peony is named after Paeon or Paean, a student of Asclepius, the Greek god of medicine and healing. Asclepius became jealous of his pupil; Zeus saved Paeon from the wrath of Asclepius by turning him into the peony flower. Peony has been cultivated in old monasteries in China and Japan in medicinal gardens for centuries. Photographed in Mughal Garden, Srinagar, Jammu and Kashmir.